MSLGroup owner Publicis has reported a net loss of €527m (£449m, $564m) in 2016 as revenue declined in the fourth quarter. The company this morning reported a 2.5 per cent fall in organic revenue in Q4, leaving organic growth across the year as a whole at just 0.7 per cent. Overall revenue in 2016 rose 1.4 per cent to €9.7 (£8.3bn, $10.4bn). Publicis cited the loss of media accounts in 2015 and early 2016 for the decline in Q4, along with the timing of projects at its web marketing business Razorfish, and "very unfavourable" comparatives with a strong fourth quarter in North America in 2015. Publicis, which did not provide figures for its PR businesses, said it expects to return to growth levels more comparable to its peers on the second half of the year. Overall revenue (including acquisitions and favourable exchange rates) in Q4 fell 2.5 per cent versus Q4 2015 to €2.67bn (£2.27bn, US$2.84bn). Operating margin for the year rose two per cent to €1.5bn (£1.28bn, $1.6bn). Europe saw the strongest growth in Q4 and across the year, with organic growth of 5.1 per cent in Q4 and 5.9 per cent in 2016 – total revenue for the year rose 3.6 per cent to €2.76bn (£2.35bn, $2.95bn). There was a "marked improvement" in the UK, where growth was 5.9 per cent. Organic growth accelerated from around four per cent in H1 to more than eight per cent in the second half. Publicis said France performed well (+6.5 per cent), and Germany and Italy both posted strong momentum (+8 per cent and 6.3 per cent respectively), "all shored up by the improving macroeconomic situation". The situation was "volatile" in Russia, where growth for the full year was +11.8 per cent. Overall, growth in Publicis’ digital channel grew sharply in Europe, up 11.1 per cent in the year. In North America revenue grew one per cent in the year to €5.24bn (£4.5bn, $5.6bn), but organic growth was -2.2% after a steep decline of 6.9 per cent in Q4. Publicis cited the loss of accounts, particularly during the so-called 'Mediapalooza' spate of media reviews, but also to the completion of certain digital projects "at a time when more recent projects have yet to ramp up to cruising speed". The company also cited tough comparisons against a strong Q4 2015. Revenue in Asia Pacific rose 1.8 per cent in 2016 to €1.085bn (£0.92bn, $1.16bn), with organic growth of 1.5 per cent. Revenue growth declined six per cent in China in the second half, after achieving growth of 4.4 per cent in H1. India and Singapore posted full-year growth of 0.5 and 8.1 per cent respectively. Revenue in Latin America fell 11.4 per cent to €365m (£310.7m, $390.2m); Publicis said the decline was mainly due to exchange rates. Organic growth was 2.9 per cent in 2016. Revenue in Brazil fell 1.9 per cent despite the Rio Olympics, although the company outperformed a "declining market". Revenue growth in Mexico was 7.7 per cent. In the Middle East & Africa, revenue grew 4.4 per cent to €287m (£244.3m, $306.8m), with organic growth of 1.1 per cent. 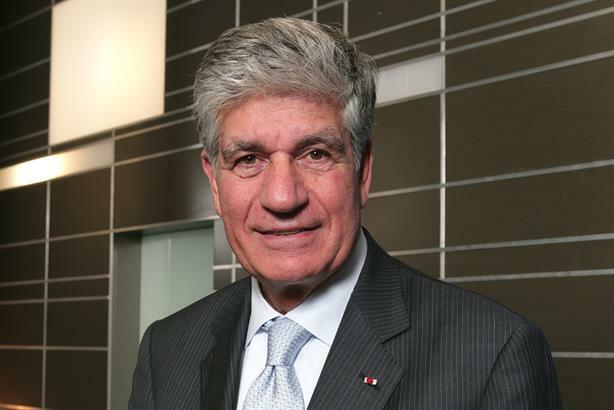 Maurice Lévy, chairman and CEO of Publicis, said: "These results have been achieved against the backdrop of a modest organic growth rate, mainly due to lower US revenue as a result of media accounts lost in 2015 and the first half of 2016, but also to serious issues at Razorfish. "2017 clearly marks the beginning of a new era, as much for the market as for our group. Society is evolving spectacularly as the exponential development of digital and other technologies obliges companies to undergo very deep transformation. Outcomes of referendums in the UK and Italy and elections in the US have rung in geopolitical upheavals, bringing with them new uncertainties for Europe, whereas America’s traditional positions seem to produce economic consequences that are difficult to gauge. "Our group is ready for this new world thanks to its high-potential digital assets and capacities to help our clients embrace this new order, including help with their own transformation." He added: "To achieve our future objectives we must improve our organic growth. The first half of 2017 will still bear the marks of previous difficulties, but as of the second half year, the group should be back to levels of growth which are more comparable to its peers. And beyond, growth should be sustainably back on track with performances that are more consistent with our profile and history." Last month Publicis announced that Levy is to step down in his role on 1 June, to be replaced by Arthur Sadoun, chief executive of its Publicis Communications division, which includes MSLGroup and CNC. Levy said: "Arthur has demonstrated the very broad range of his abilities over the last ten years, he is a great professional driven by his passionate approach to clients and his desire to make them winners." Also last month, MSLGroup announced that it had promoted Peter Steere to EMEA chairman, about a year after Anders Kempe left his role overseeing the region.